First off, I'd like to thank "2w" for the tip on this must-have domain, which, last month, was in the redemption and pending delete period. Last August, when I decided to move my domaining posts from my Post Foetry blog, I really wanted to use "Ms Domain" as my alias. 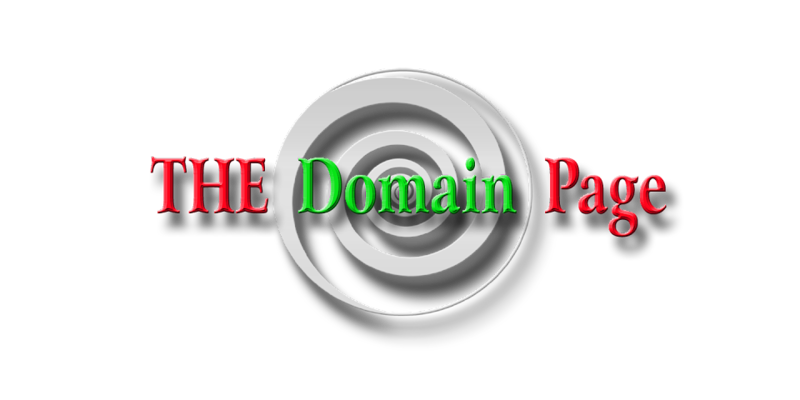 Unfortunately, the domain itself was already registered, so then I compromised and settled for "Ms Domainer." Then 2w revealed to me (and the rest of the world) via the comment section of this blog that MsDomain.com was expiring. I thought long and hard about trying to acquire MsDomain.com on the aftermarket, simply because I'm now established as Ms Domainer. Once I decided to try, I placed backorders with GoDaddy (lame long shot that didn't pan out), Snapnames, and Pool. I don't know if NameJet had the domain on its backorder list (I was afraid to check because I thought maybe that a query might trigger their curiosity and technology). Even when I checked on Pool and Snapnames, I did so in a sneaky manner: I typed "domain" in the search box and then scanned the lists manually. However, both Snapnames and Pool had already added the domain to their backorder lists, so I had little choice but to place my backorder with both and hope that NameJet decided not to release its techno-hounds on it. I suspect that if interest had been extremely high, either Snapnames or NameJet would have snagged the domain. And this domain actually expired because GoDaddy actually acknowledged their failure to capture the domain, which wasn't the case with LiteraryAgent.com. I was surprised that Pool snagged it, but I was also glad because their Namescout panel is easy to navigate. In addition, Snapname partners charge for everything: 99 cents for forwarding and $50.00 for name server changes. Now 99 cents doesn't sound like a lot, but it's irritating and, IMO, petty. Pool, on the other hand, is a nice aftermarket company; they listen to their customers and don't charge for forwarding. After 60 days, I transfer all my aftermarket domains to my regular registrar, but with Pool I can at least I can use my domains during the interim. Snapnames reportedly has the technological thunder to snag the most desirable deleting domains, and I thought perhaps that other domainers might have been interested in this domain; I know that at least one other person was interested because the domain went to a backorder auction (though the other bidder or bidders never placed additional bids). In a very real sense, this was a defensive acquisition. I worried about someone else snagging the dot-com and establishing him or herself as "Ms Domain," thus causing confusion, and, perhaps, siphoning off my traffic, which is slowly building. I have also registered and redirected the other TLD's (except .net and .info, already registered to others. If the owners of these TLD's happen to stumble upon this post, I paid only $60.00 for the dot-com and regular reg fees for the others, so I wouldn't be willing to pay much more than regular reg fees for .info and .net). Although MsDomain.com is an old domain (created November 3, 1998), it's probably not a very valuable one, except to me. It has a history as a hosting company, but, obviously, not a very successful one (or perhaps the company still exists with another name). Still, I really didn't want to spend $60.00 on a domain that, on its own, is pretty iffy, but there you have it. In addition, I'll have to be very clear that MsDomain.com is not associated with Microsoft or the .ms registrar. I'm thinking about developing a "portal" blog that would offer a link to this blog (and my other blogs and links), but I haven't decided on this definitively. For now, MsDomain.com is redirected to this blog. It seems redundant, but I don't want to "waste" the domain either. Or should I actually change my alias to Ms Domain??? I'm quite attached to my current alias, but would Ms Domain be better? Or does it really matter? What if you get married? Mrs Domain? I AM married. I choose "Ms" over "Mrs."
hi greeting u secured it ? ?